Zayed Cricket Stadium, Abu Dhabi, will be the new home of T10 cricket for the next five years, starting with the 2019 season. 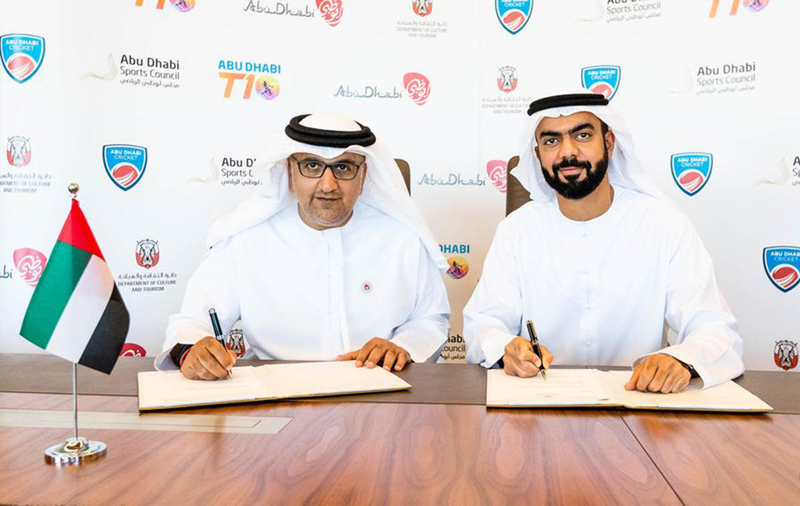 Abu Dhabi Cricket (ADC), in partnership with Abu Dhabi Sports Council (ADSC) and the Department of Culture and Tourism Abu Dhabi (DCT Abu Dhabi), has signed a five year agreement with the organisers of the T10 Cricket League. The shortest form of the game will now be played exclusively at Zayed Cricket Stadium. 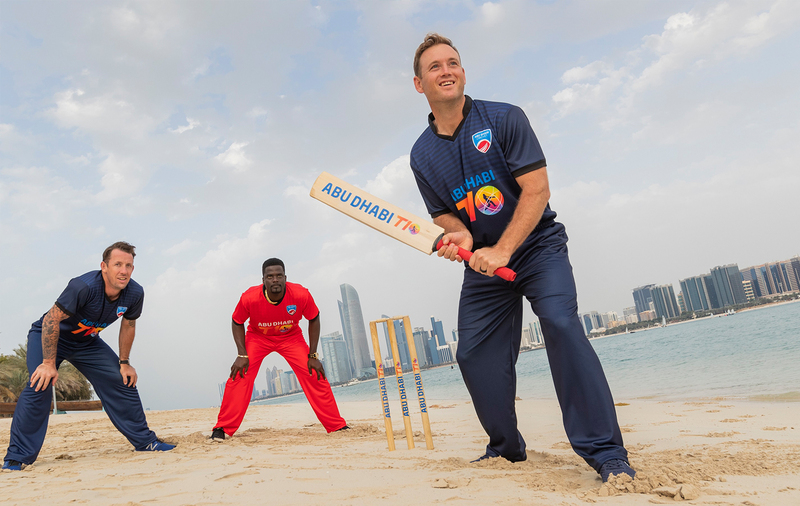 To announce the arrival of this exciting new inter-governmental partnership, ADC, ADSC and DCT Abu Dhabi organised a T10 match on the seafront of Abu Dhabi’s iconic Corniche, with T10 aces Colin Ingram, Andre Fletcher and Luke Ronchi having a bat on the beach. 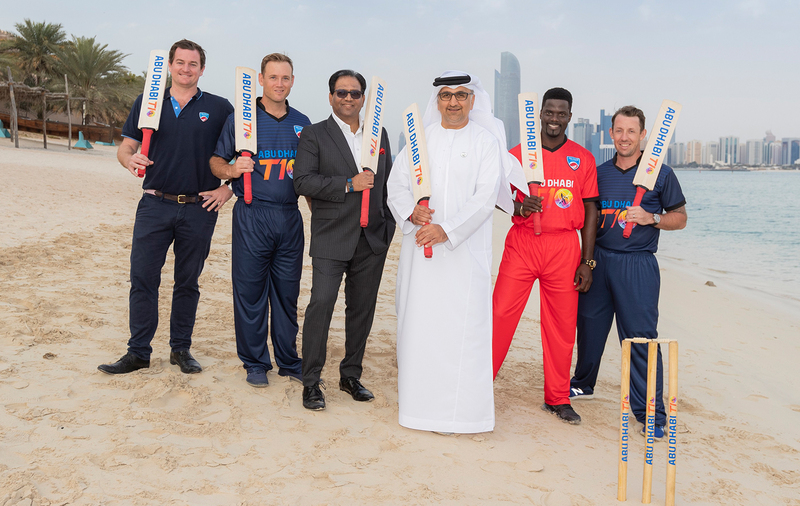 "This partnership significantly elevates the coaching opportunities open to aspiring cricketers in the UAE through our Zayed Cricket Academy and underlines Abu Dhabi Cricket’s commitment to delivering sporting growth opportunities to the local community. Through bringing T10 to the capital of the nation, we hope cricket’s sporting potential can reach more audiences and introduce more players, young and old, to both cricket and to the wider forms of sport available in Abu Dhabi." His Excellency Saif Saeed Ghobash, Undersecretary of DCT Abu Dhabi, said: “This announcement is fantastic news for Abu Dhabi. Our city is a major global hub with a huge variety of attractions that cater to people of all ages and backgrounds, and T10’s tournament’s presence in the city for the next five years represents an exciting opportunity to attract even more visitors from around the globe, especially those from India who represent one of DCT Abu Dhabi’s key markets. “The signing of this agreement shows the level of cross-government support which is implemented in Abu Dhabi, hence we can celebrate how both ADSC and DCT Abu Dhabi are able to continue to collaborate in attracting major events to the emirate. “This move to Zayed Cricket Stadium represents a big next step in the growth of Abu Dhabi’s cricketing ecosystem, by giving fans access to a combined sports and entertainment offering through hosting all forms of the game. Whether its international Test matches or the now shortest form of cricket the game has to offer, we’re continuing to be the home of the sport in the UAE. The first match of the T10 League 2019 will be on 23 October 2019. Tickets and hospitality information will be announced soon.